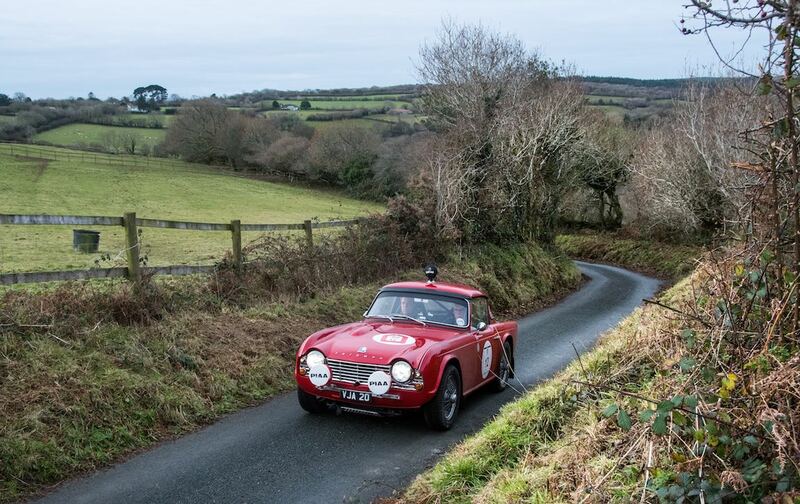 The 23rd edition of the Land’s End to John O’Groats Classic Reliability Trial and Tour (Le Jog) was staged 8-12 December 2017 in the United Kingdom. 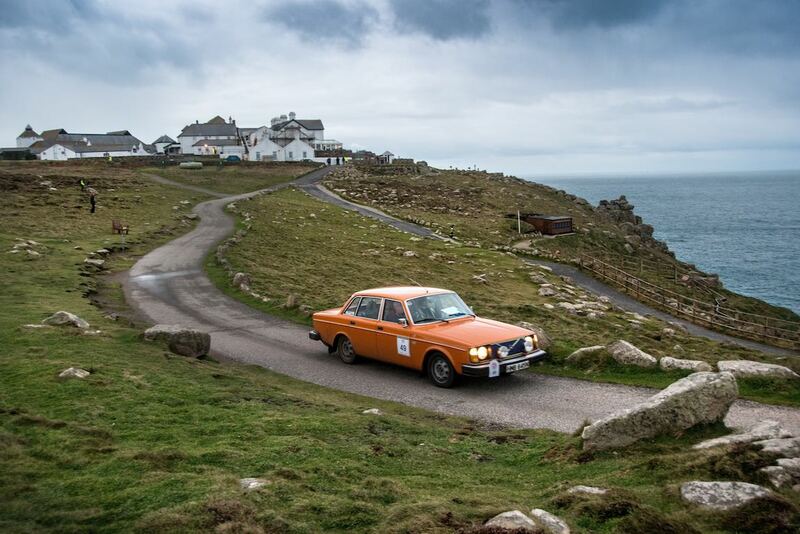 Starting in Land’s End, the most westerly point of mainland England, the 4-day rally open to cars built before 1986, ended in John O’Groats, the northeastern tip of Scotland. 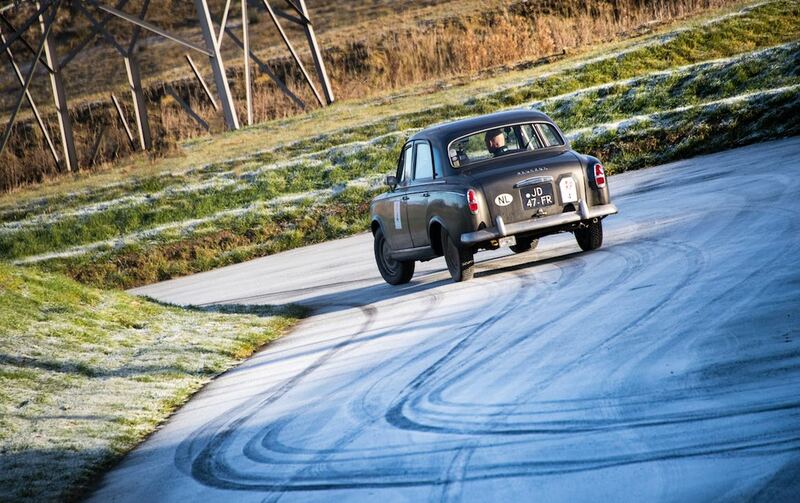 The Historic Endurance Rallying Organisation (HERO) event is known as the toughest classic reliability trial in Europe. For 2017, the route again started in Land’s End, with a run up the west side of the UK and into Wales bringing crews to an overnight halt on the borders of Wales and England, close to Chester. The Sunday run was once again the ‘easier’ part of the event, however, there were one or two more demanding sections to keep the pressure on crews and ensure that the endurance side of the event was still there. Sunday’s overnight was once again close to the borders of Scotland and England before the final push to John O’Groats. The final leg on Le Jog Rally 2017 was set on the northeastern coast of Scotland and had the luxury of an extra hour’s break for crews before departing to attempt the first regularity section of the night, the mini-monster or baby Nessie as it was being called. The route had to be modified due to the heavy snowfall earlier in the day and with foresight and pre-planning, Clerk of the Course Guy Woodcock and his team re-routed the event losing the fore end of the ‘Loch Ness Monster’ regularity section. Re-named Loch Ness (mini) Monster, it was still 22 miles long and with the deep snow proved a truly demanding test of both driver and navigator. Starting at the hairpins close to Fairgaig Forest, the route looped through the narrow maze of lanes south of Loch Ruthven. Navigation was via jogularity and map with the average speed in the high twenties, crews had to press-on to stay on time. The second regularity was a much gentler offering starting northwest of Alness at Dalreoch Wood. The roads here still with a covering of hoar frost to catch unwary or ill-prepared crews. The first timing point came up at White Hill and was situated at a three way junction, the next was just after the village of Badachonacher and included an easy to miss loop on a narrow yellow close to Badachonacher Moss. A longer section over Scotsburn and Marybank brought the third and final timing point to the north-west of Logie Hill. 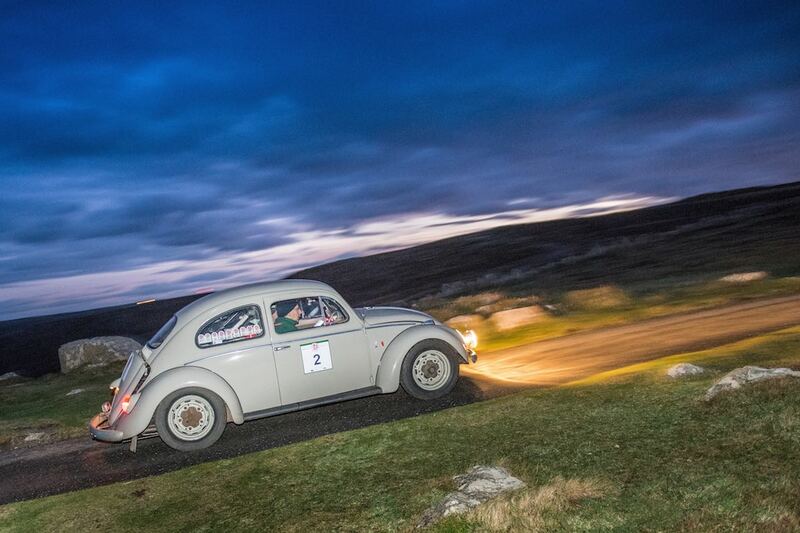 The team of Mark Godfrey and Martyn Taylor were piling on the pressure after regaining their Gold Medal status and putting in some binary performances at controls of their MG B. John and Robert Kiff were having a storming run in their Volkswagen Beetle and were well out in front of the nearest competitors in their class for honours. A looping section in the Evelix Valley took crews onto the Black Isle with clear skies over the Dornoch Firth making standing up on the road tricky as temperatures plummeted to minus nine degrees. This was a straight-forward section that didn’t cause too many issues, but from here onwards things were set to get much trickier. Golspie Kart Circuit hosted the very final driving test of the event with conditions making getting to the circuit trickier than the test itself. Named Knockarthur, the fourth regularity encompassed just under thirty miles over five timing points set on the sinewy lanes. Adding to the challenge of ice were the local population of deer who were adept at walking out in front of competitors, seemingly fearless of cars. The second timing point would prove pivotal for the Kiff Brothers, a mis-read instruction saw them miss the turning into the second timing point in a lay-by on the Bridge of Horn costing them their Gold Medal that they had held for just over 1400 miles. Heading north up to Thurso and a well-deserved breakfast brought the last regularity of the event at Mayfield south-east of Thurso. All was going well for the BMW 2002 Tii of Andy Lane and Iain Tullie who had hardly put a foot wrong all event. Local traffic delayed them along the section and although it didn’t cost them a medal, it handed the lowest-points bragging rights to the MG B of Godfrey and Taylor. Emotions were high as crews crossed the finish line at John O’Groats. Pipers Alastair and Michael providing the skirl of the pipes as bright blues skies and a very gentle breeze made the last white covered hours seem a long time away. 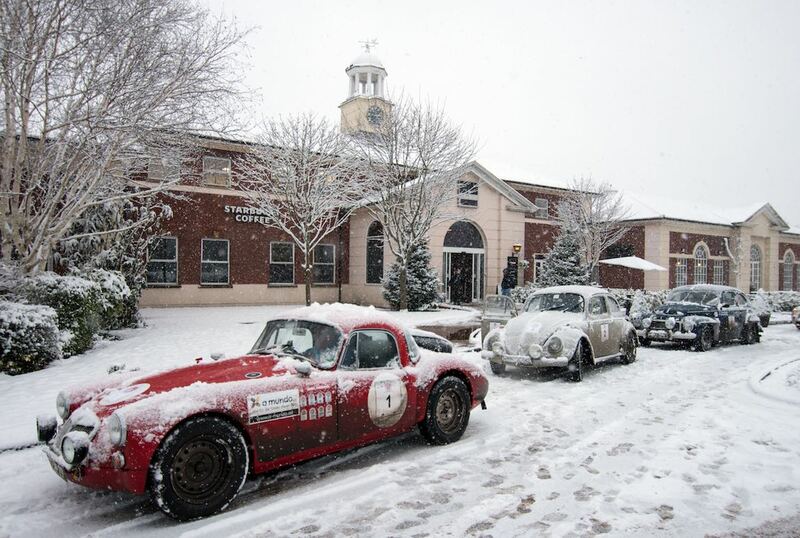 First to cross the line were David Hankin and Jake Ramsden in their re-styled Triumph TR4. A coming together on the final leg meant they decided to cut to the finish, Jake with a lump in his throat thinking that they were so close to a medal. 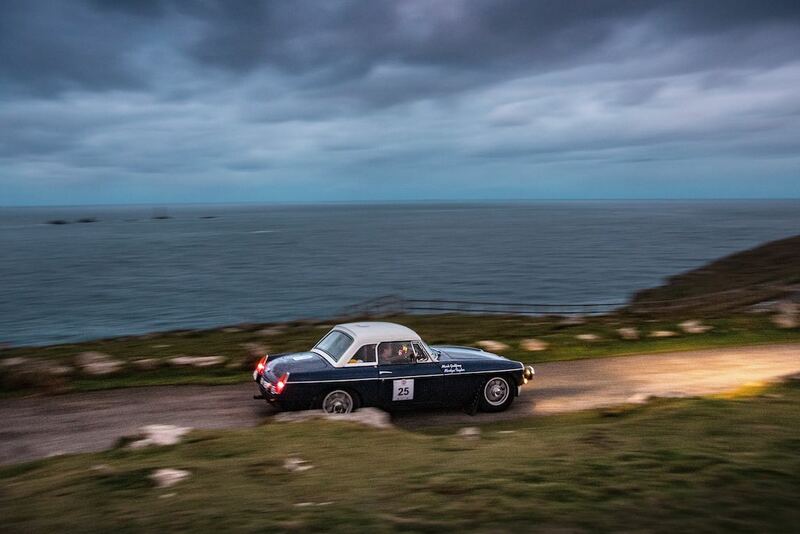 The 2017 running of Le Jog will be remembered as a truly epic event that managed to navigate from tip-to-tip of the United Kingdom, in truly testing conditions for crews. It will also be remembered for the camaraderie of the crews who selflessly stopped to help others (including members of the public) who were in difficulty. Similar to 2014, 2015 and 2016, Sports Car Digest also documented the 2017 Le Jog Rally, with photographers Francesco Rastrelli and Roberta Roccati offering a wonderful selection of images from the event that ends in the far north of Scotland. Exactement le type d’épreuve où n’aimerait encore l’aligner. Top paysages ,pas sur que mon MGC partagerait mon avis !!!!!! Beautiful scenery and commendable photography , but Oh ! what a pathetic assortment of wimpish tintops ! Maybe you would care to come and join us Birash? Show us how it is done in an open car? We have a category for vintage vehicles next year. Thankyou for the kind invitation to join next year’s event .Indeed I would love nothing more . I have two eligible pre-war cars,each of less than 5 litres capacity, which would be ideally suited to participate . However it is the human element which no longer fits the bill . I am sadly 75 years old and live a long long way away, in Malaysia . I loved your report on the recent Benjafield event …terrific ! I loved every word and pic…just my types of car . Keep up the good work ….